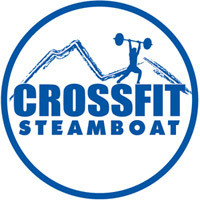 We love to hear your success stories about CrossFit Steamboat. I'll admit, at first I was intimidated by Crossfit's motto of "forging elite fitness". I'm not a natural athlete and I'm definitely not elite. I had an injury to my back 20 years ago that affected the use of my right leg. I always assumed I couldn't do things because of it. I used it as an excuse to not even try. Fortunately, I have good friends who were able to see past my leg and encouraged me to try Crossfit. The coaches there have worked with me and made me see that I can do anything I put my mind to. And I have. Crossfit has helped me to do things that I never thought I could do. The physical and mental strength I have gained go with me when I leave the gym and have improved all areas of my life. I'm still not what most people would call "elite" but I've come to realize that everyone has potential and Crossfit pulls the best out of everyone no matter where they are in their personal fitness. It is the determination to keep trying day after day to improve that makes us elite. So with that definition, yes, I guess I am elite. Thank you Crossfit Steamboat!! On January of 2010, I was coming back from surgery for my second torn bicep tendon, weighed 215lbs, and was a poor example of health to my daughters. I made a fateful decision to walk into Fusion Fit just to see what it was all about. 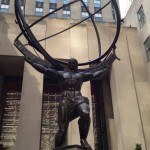 I made a personal training appointment with Sarah Coleman and my CrossFit experience began. I trained with Sarah for six months learning the fundamentals of CrossFit. That summer I began CrossFit classes in earnest. Two years and a few gallons of sweat later, I've gained mobility and strength in my arms, weigh 180lbs., and have encouraged my girls to eat right and do Kids CrossFit themselves. Has CrossFit changed my life? Absolutely. Anyone can exercise or lift weights, but its the coaches that give you the tools to change your life in a positive way. The encouragement and training I've received from the coaches (Sarah, Ronni, Mike, and Chad) and the athletes in CrossFit has been second to none. I am very proud that my family is part of the Crossfit family. Crossfit is not only for the Steamboat “Super fit”; it transcends across all individuals. 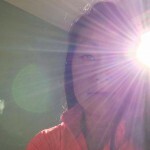 When I started Crossfit as a 40 year old mother of two, I wondered if I had enrolled in something out of my league. It didn’t take long before I discovered that I had found a perfect physical routine that will carry me through life. It wasn’t long before I was doing the exercises that I once thought to be impossible; leaving me with a sense of accomplishment after each workout. Crossfit has also taught me mental toughness that is applicable to my life outside of the gym. The results are extraordinary as I have dropped 6 sizes and my cholesterol numbers have never been healthier. The variety of routines & the support of the coaching staff make Crossfit an enjoyable lifelong activity. Where else do you complete a gym workout worth bragging about? had knee surgery March 10, 2012. From then until Dec. 10, 2012 I did zero exercise outside of my daily routine, and I hadn't really exercised in years anyway. Although I wasn't at my heaviest weight ever, I was closing in on it at 238lbs. Approaching four months of crossfit, I have lost thirty pounds. I am in better shape, and I am the same weight as I was when I played college baseball a decade ago. However, the weight loss and physique is not the best part of my crossfit experience. I have a very physical job, and in the past most work days left me completely smoked. I wasn't fully participating in my life due to being sore and wiped out. While I'm still sore pretty much all the time, its because of my workouts not my job. The biggest change however has been in my stamina and energy level. I am getting more work done in less time, and I'm actively participating in my life when I get home. Crossfit 4 or 5 hours a week allows me to live a more complete life the rest of the week. That is the best part. Crossfit has truly changed my life. Before I started Crossfit I was unmotivated, not a hard worker, and did not understand what my body was capable of. Now I have been doing crossfit for about two years now, and I have learned many life lessons with it. It has taught me to always give everything my all, that I am capable of more than I believe I am, it has enabled me to live a healthy lifestyle, and it has given me such an incredible family. I don't know where I would be without everyone in the gym and all the time people have put into coaching and encouraging me. I am so thankful for the opportunity to be apart of this amazing gym and fabulous community. I can honestly say that without Crossfit I wouldn't be as happy as I am now, or as strong as I am now. THANK YOU!! Crossfit has all together transformed me as a person. Through the people, the coaches, and the killer workouts I have become a better human being. I don't know what I would do without it and I can't imagine my life with none of my crossfit family. It has made me ten times more confident as an athlete and my physical strength has noticeably increased. Not only that I have become tougher in my mind and most importantly, my heart. CF has given me self love and worth and makes me feel good enough for anything, inside and out of the gym. I am head strong, I am happy, I am fit, I am in love with working out- and through all of that, I am beginning to love who I am and to embrace my body in ways I never knew possible. None of that was possible until CF. It changed my life- it changed my world. And I don't believe it's just me who feels this way.